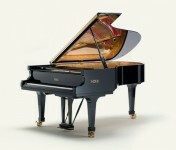 In 1981 pianist/engineer and passionate perfectionist, Paolo Fazioli set out to build the absolute best piano possible. 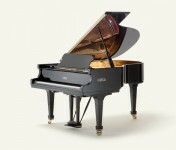 Gathering a team of acousticians, engineers and artists, Fazioli produced only three stunning pianos in his first year. Since that time the Fazioli Pianoforte has built over 1,600 hand crafted pianos and is producing approximately one hundred pianos per year. 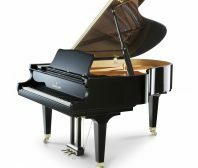 Using only the finest materials, the craftsman at Fazioli are building a piano that artists now proclaim to be the best piano available today. 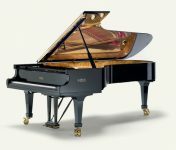 Many innovations have been developed by Fazioli, including multiple types of hard woods used for the different bridge sections, fourth pedal for pianissimo tonal control and unison tuning for nonspeaking string length.The soundboard of the Fazioli Piano is made from the red spruce trees from Val de Femme region in Europe. This wood is known for its evenness, lightness and flexible strength making it for perfect for amplifying harmonic vibrations and was the wood of choice for Antonio Stradivarius when building his legendary string instruments. 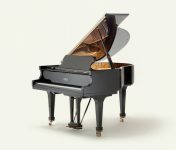 These innovations, and many others have given this piano its’ superior reputation that many revere as the finest piano in the world.